Alban Henderyckx is a French photographer who specialises in dramatic, otherworldly landscapes. These amazing images really make you think of how amazing our natural world is, and make you realise the lengths to which Henderyckx is willing to go in order to get the perfect shot – these are not easy to find places! To see more of his work, have a look at his website over here. This entry was posted in Photography and tagged Alban Henderyckx, Landscape, photography on January 30, 2015 by stellenboschacademy. Mr Cup is the pseudonym of Fabien Barral, a French designer with a flair for typography and highly detailed designs. Here we can see his limited edition Letterpress Calendar and creative manifesto. This really is one of the most beautiful objects we’ve seen in a very long time. And if anyone would like to get one for the academy library… we’d be very willing to accept one! To see more of Mr Cup’s work, check out his website over here. This entry was posted in Design and tagged Letterpress, Mr Cup, Typography on January 28, 2015 by stellenboschacademy. All (bad) puns aside, the level of detail Zorn captures using just packaging tape is unbelievable. Check out a ‘making of’ video below to see how he does it, then marvel at some of the finished products below. Such incredible work! To see more of Max Zorn’s packaging tape art work, have a look at his website over here. This entry was posted in Illustration and tagged Illustration, max zorn, packaging tape on January 26, 2015 by stellenboschacademy. We always stress to our students how design can live in many forms. It is not just limited to flat design or packaging design – you can branch out into product and furniture design or information design – the opportunities are endless; it’s really about following your passion. Today, we are sharing some incredible work from Fredrikson-Stallard – a furniture design company based in London. Their work is modern, impeccable and daring. How can you not fall in love with furniture this confident and bold? What beautiful design. This entry was posted in Design and tagged Design, Furniture Design, Modern, Product Design on January 23, 2015 by stellenboschacademy. We’ve been paying a lot of attention to gifs lately, as a new medium for advertising. We’ve seen some great work coming through, but what is very exciting is that gifs themselves are limited only by our imagination. Here, we can see amazing illustrations for Prada by Francois Berthaud that both tell a story and animate as well. In a category like perfume, where it is so difficult to differentiate yourself (especially before someone has smelled the product) it is vital to do something different. If Prada continues in this vein, we can see some real great results for them! After seeing something like this, who doesn’t want to ask for Prada Candy in store? This entry was posted in Illustration and tagged Comics, gifs, Prada on January 21, 2015 by stellenboschacademy. Red Bull is great at creating amazing content for fans to interact with. At times, it is almost easy to forget they actually sell energy drinks – that’s how good they are. Here, we’re sharing the best Red Bull photos of 2014. All the action, all the drama, all the fun. What amazing images! This entry was posted in Photography and tagged Extreme Sports, photography, Red Bull on January 19, 2015 by stellenboschacademy. The compact camera market has come under a lot of stress recently with the advent of smart phones and increasingly proficient smart phone cameras. So how do you market a new compact camera to a generation of people who are obsessed with selfies? You do what Samsung and Leo Burnett Switzerland did. You point out that selfies are one thing, but self portraits are even better. We love the way they’ve recreated famous artists and their self portraits here to show that selfies are all well and good, but self portraits can last for hundreds of years. Great concept, great art direction and a memorable idea. We love it! 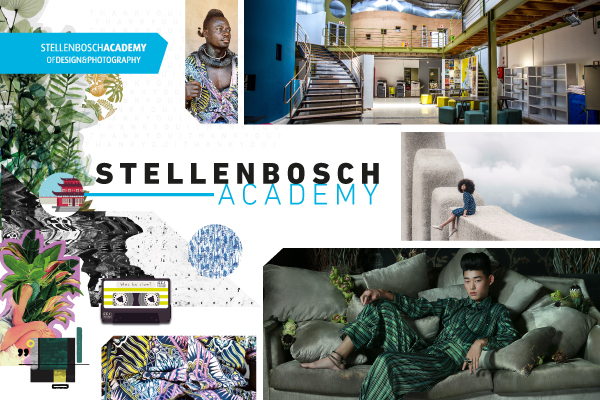 This entry was posted in Art Direction and tagged Art Direction, photography, Selfie on January 16, 2015 by stellenboschacademy.